With a great week at NetApp's EMEA Insight 2015 over I thought I would do a Top of The Pops style countdown of the my top 5 things from Berlin. Surprisingly Beer and lederhosen just missed the cut. Copy Free Transition - This one's a biggy. This gives the ability to change from 7-Mode to CDOT through a controller headswap. No replication schedules needed - data in place upgrades to CDOT are finally here. ClusterLion - This was somewhat a surprise package, admittedly I had never heard of ClusterLion until last week but I won't be forgetting it in a hurry. 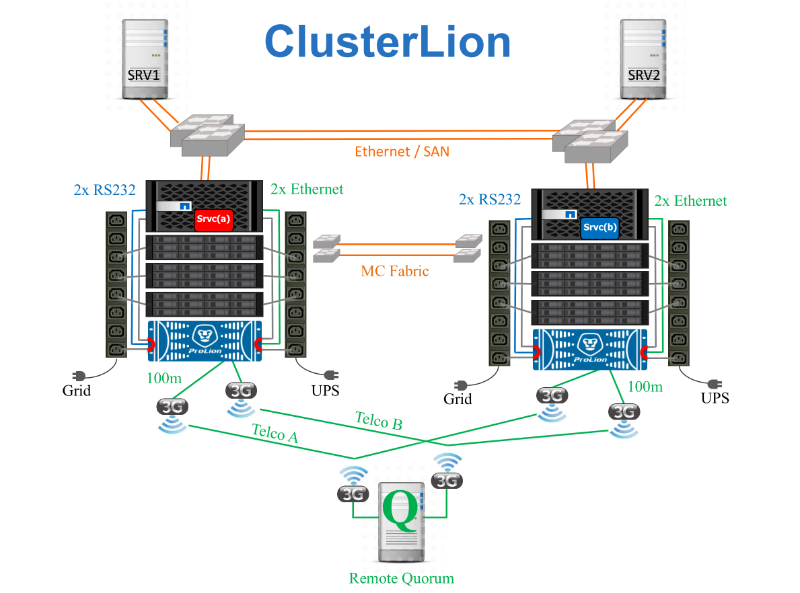 ClusterLion is an appliance that increases availability of a NetApp MetroCluster by providing automatic failover in the event of an outage. If you sell MetroCluster or own one I can't recommend highly enough how important it is that you review this solution. Neto from Brazil - Most of us know how awesome Neto is but for those that hadn't witnessed his passion before it was given to all in spades on Day 2 as he showed a live demonstration of what CDOT can do. 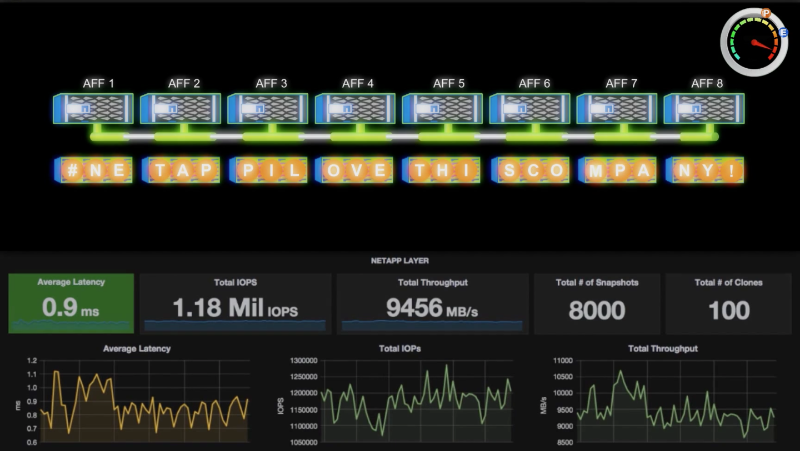 He started off with a 2-Node Hybrid cluster and non-disruptively grew it to 8 Nodes with no impact to the application other than a huge boost in performance. So thats 1.18 Million IOPs @ 900us whilst taking 8000 Snapshots and 100 Clones. The People - Insight is great because it's a tech show first and foremost unlike others which revolve around a strong marketing play. However as important as the tech is I get most value from meeting others and sharing ideas. It's a chance to speak to other System Engineers (whether they be NetApp or partner) and here how they're using our technology to help solve customer challenges. It's also a great opportunity to spend time with customers of which every one I spoke to stated their intention to return next year. SnapMirror to Everything - As a NetApp SE we get to see not only what's on the truck today but also a glimpse of whats coming. It was however a surprise that we showed this to the world last week. 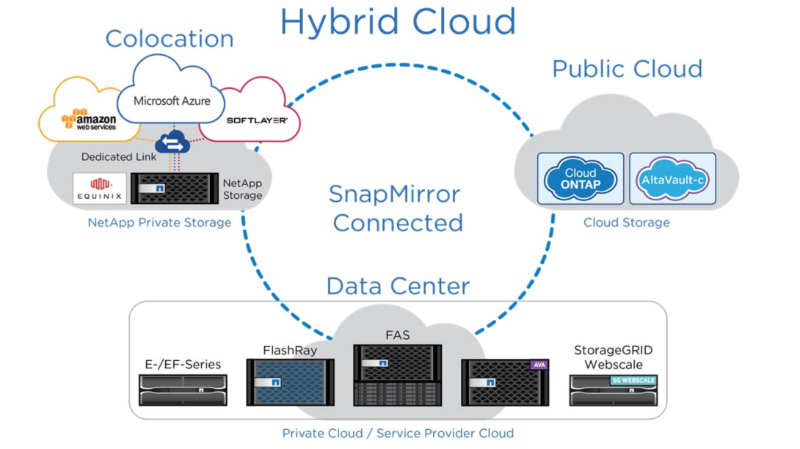 For those that didn't see the announcement we are building the ability to allow all products in NetApp's portfolio to replicate to each other using SnapMirror. This is huge and is the foundation of the Data Fabric vision as it allows us to move data anywhere dependant upon the requirement. 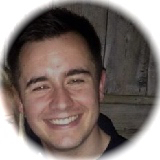 Not only did we announce this but our founding member Dave Hitz also showed a working demo of replication between ONTAP and AltaVault in the cloud. Imagine using Cloud ONTAP in AWS then replicating your backups to Azure. Maybe you want to backup ONTAP to AltaVault then spin up those backups for analytics in the cloud. 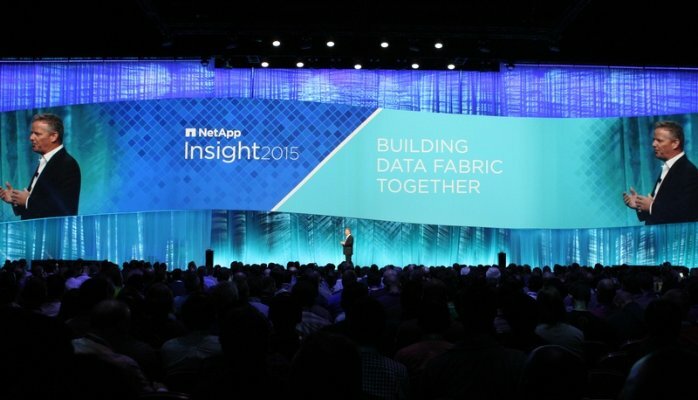 These possible use cases are becoming reality with the NetApp Data Fabric.